TEDx is a non-profit organisation centred around the main theme: “Ideas worth spreading” – sharing inspiring ideas and stories. 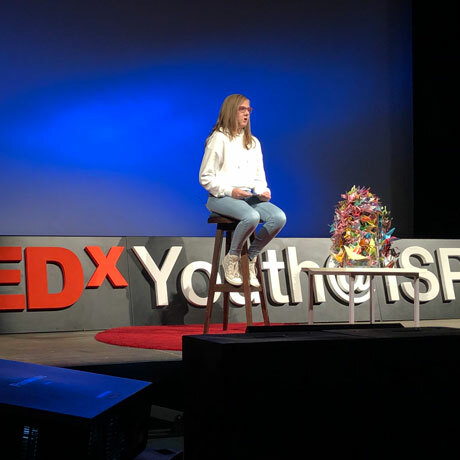 Over the last four years TEDxYouth@ISPrague has seen the school’s Landau Theater transformed into a professional platform for passionate young speakers to share their thoughts on topics that excite, inspire and fascinate. 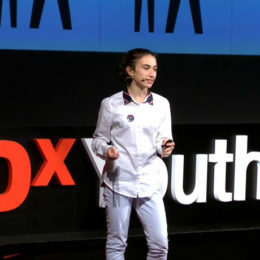 TEDxYouth@ISPrague is entirely student-run, with students taking control of all the tasks it takes to stage such a professional event, from logistics to stage direction to being the Master of Ceremonies, not to mention the inspiring speakers! ISP Upper School students and invited guest speakers speak on the most diverse topics, from music to science with some very personal stories in between. The most recent event included; musical improvisation, the flaws in democratic systems of governments (and solutions to them!) the dangers of antibiotics, surviving leukemia, and the art of juggling. See a gallery of the most recent TEDxYouth@ISPrague here. 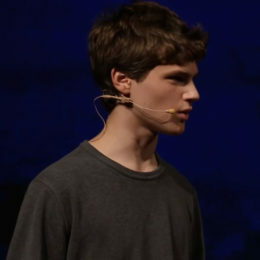 View videos of selected TEDxYouth@ISPrague talks, which have inspired worldwide discussion, below. Who chooses what students learn about history? How are those decisions made? Jihyeon explains the traditional education system in South Korea, and how it has often led to Korean students’ uncritically learning history. She examines the reliability of some textbooks schools have recently been pressured to use, arguing that students should think more carefully about the ways their education is being shaped. Jihyeon is a South Korean student who shared this talk in 10th grade. She has lived in South Korea, the US, and the Czech Republic. 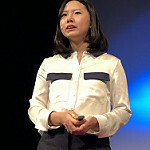 The idea for her talk emerged from questioning and comparing the public education system in South Korea to that of an international school. history student, critical thinker. Attention Deficit Hyperactivity Disorder (ADHD) has become a familiar term to millions of parents, children, students and teachers in recent decades. But how much do we truly understand about the ways it affects an individual? What is it like to live with the condition? To go through a typical school day? Toby shares personal insights about a world most of us have only heard about. 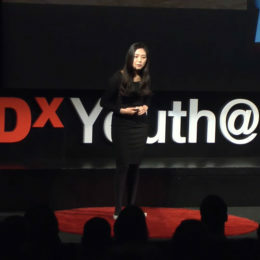 In 2014, Sohi Yoon was shocked and saddened to learn of the Sewol Ferry incident, in which more than 300 people died, many of whom were young students. The captain had instructed the passengers to remain on board, though he personally abandoned the sinking ship. In this talk, Yoon wrestles with some complex and potentially disturbing questions: What would have happened if the passengers hadn’t been Korean? Could our cultures condition us sometimes to react against our own best interests? Unusually for a 21st Century teenager, Noah is a passionate advocate for monarchism. In the modern world, what can a figurehead monarch contribute to society? As Noah argues, a great deal, including stability and non-partisan concern for the welfare of all citizens. 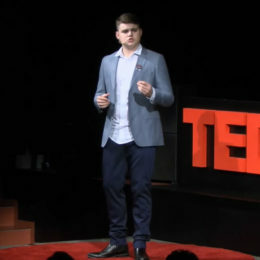 Noah gave this talk in his final year of high-school at the International School of Prague. Jeremy’s passion as a professional musician and music teacher is to activate his audiences’ and his students’ curiosity, to help them hear their own internal, creative voices. 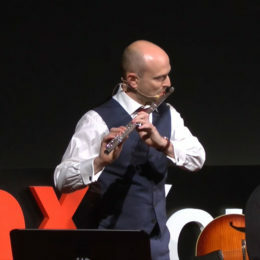 His TEDx talk, which includes improvisation with the audience and guest musicians, challenges us to examine core assumptions about how best to make, teach and learn music. One of the most exciting aspects of living in the 21st Century is the opportunity to experience literature from around the world. But except for the languages we’re fluent in, most of us depend on translations. How easily do literary devices and effects survive translation from one language to another? Are there some aspects of literature that simply can’t be translated at all? Using examples from Armenian, Russian and English, Mariam argues that, sometimes, ideas really can be ‘lost in translation’.